Professor Emeritus Thomas A. O'Halloran joined the physics faculty at Illinois in 1966 as an experimental high energy physicist. During his tenure here, particle physics underwent revolutionary advances, and Thomas O’Halloran helped to establish Illinois as a major player within the field. He made seminal contributions to our understanding of elementary particles and their interactions, contributing to both design and construction of major experiments at national laboratories. He is particularly noted for being among the first, with colleagues at Columbia University and Fermilab, to establish that the J/y meson—comprising a charmed quark bound to its aniquark—is strongly interacting; the team announced this finding immediately on the heels of the 1974 discovery of the particle. He was awarded a Guggenheim Fellowship in 1979. 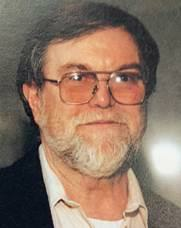 Thomas O’Halloran retired from Illinois in 1993 to become a research scientist at the University of Utah, where he explored the promise of new physics at the Fly’s Eye Cosmic Ray Detector.